In his how-could-it-not-be-lovely feature on Vin Scully for the Washington Post, Chuck Culpepper passes along this anecdote from the legend. … All along, he has sustained an appreciation for the skill on the field. That began in earnest his first year, 1950, in Brooklyn Dodgers days, when manager Burt Shotton had heard of Scully’s Fordham center-field days — good field, good throw, jammed too often as a hitter — and asked him to don a Gil Hodges uniform one day before an exhibition in Battle Creek, Mich. 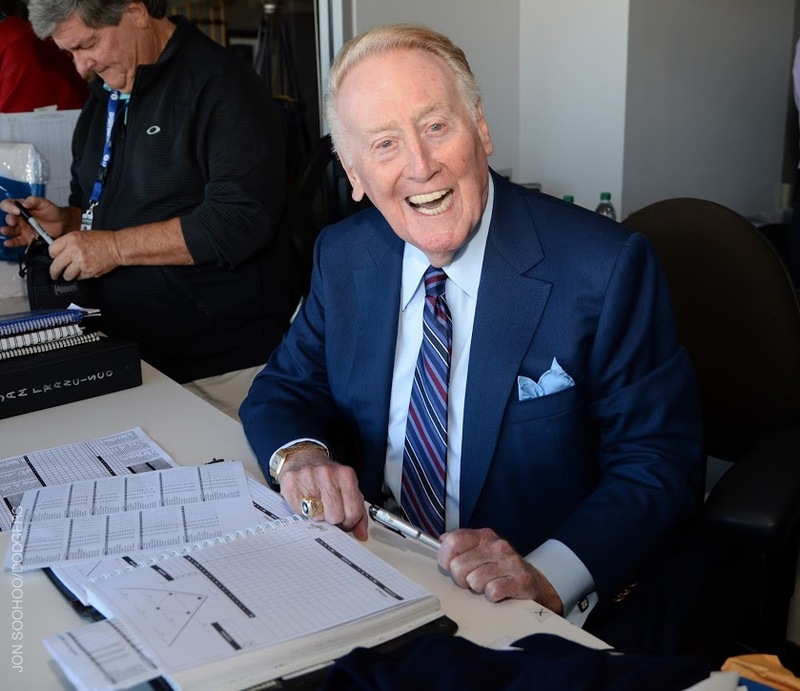 In his third-to-last game behind the mic, Vin Scully almost avoided mentioning his impending departure entirely, except for a thank you to the night’s umpires for their pregame salute. But the night didn’t leave us bereft of Vin providing his own color, thanks to a couple of spectators crashing the field in the fourth inning. 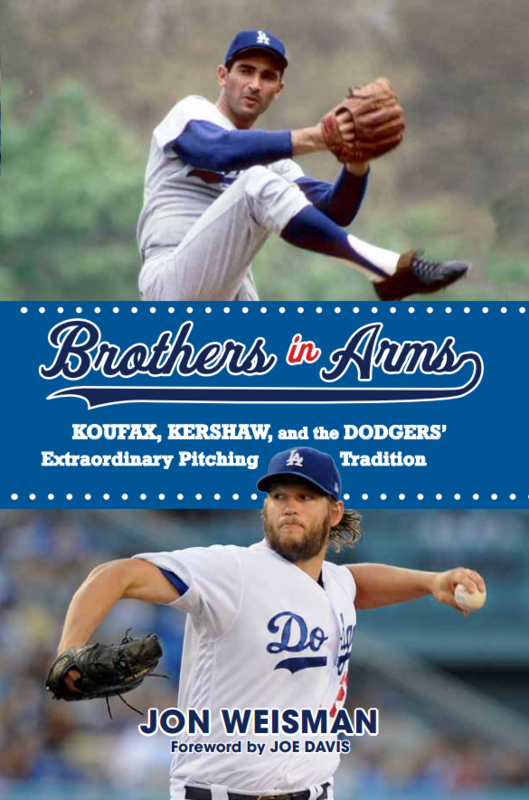 In a game that prioritized roster reconnaissance over home-field hunting, the Dodgers got more information than they bargained for. With the Dodgers leading 3-2 heading into the bottom of the sixth, Brandon McCarthy entered for a relief tryout and faced six batters — all of whom scored — in a 9-3 loss to the Giants. 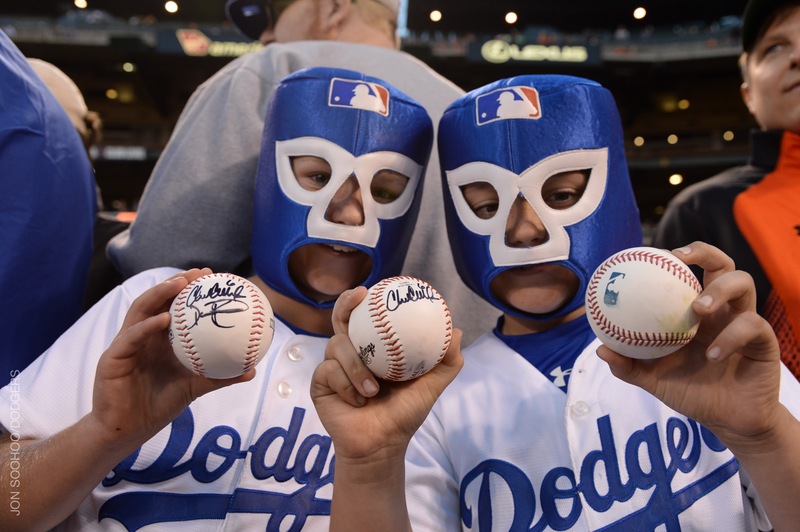 Though Washington lost to Miami tonight, the Dodgers remain two games behind the Nationals with two to play, meaning that unless Los Angeles sweeps and Washington gets swept Saturday and Sunday, the Dodgers will open the National League Division Series in the nation’s capital October 7. Here’s 20 minutes of Vin Scully talking to Roy Firestone in 1990 on ESPN’s “SportsLook,” which also includes an unforgettable clip of his Hall of Fame speech at Cooperstown. Of Satchel Paige, Whitey Herzog and holes in fences … in the words of Vin Scully from Tuesday’s broadcast. I wonder if David Letterman thought he’d retire before Vin Scully when they met up for this 1990 interview. Pace of play is part of the conversation, and — go figure — so is the Grateful Dead. 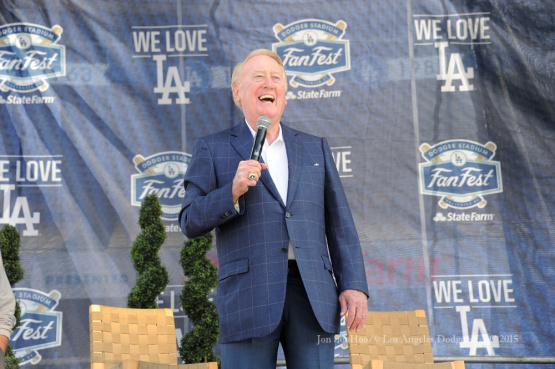 If you didn’t get to hear Vin Scully at FanFest on Saturday, above is a special video capturing his words, where you can hear about his nightmare of “being chased by a giant clam screaming ‘Linguine! '” That’s right. 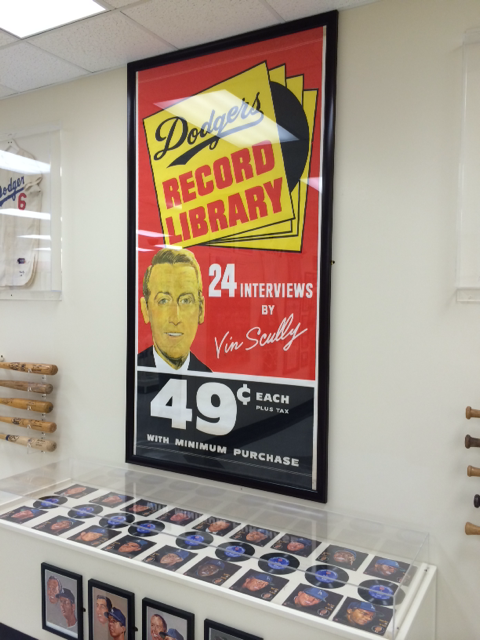 How does an oversized Vin Scully collectible stay hidden for nearly 50 years? Gary Cypres, the owner and curator of the Sports Museum of Los Angeles, couldn’t believe his ears recently when he received a phone call from a collector in Texas, describing an advertising banner used at Union 76 stations in 1966 promoting the company’s Dodger record collection. 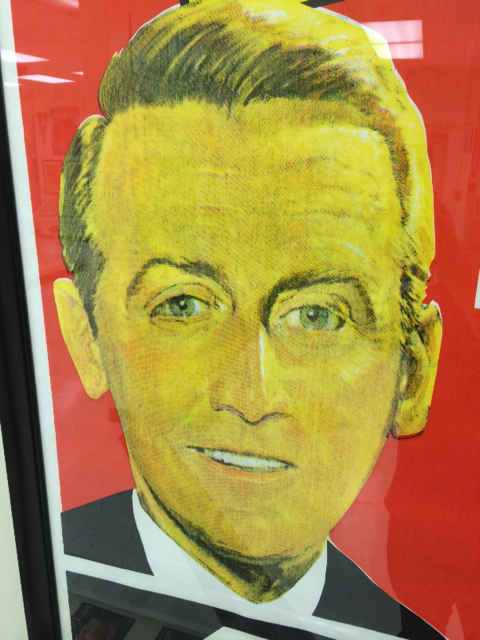 Cypres jumped at the chance to add another one-of-a-kind item to his exhaustive collection, which this season was on display at the Ronald Reagan Presidential Library in Simi Valley. 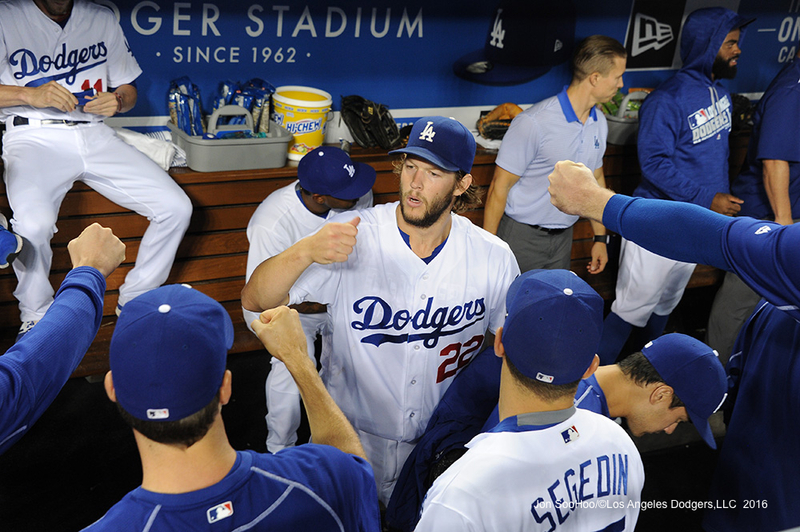 Today is the eighth anniversary of the Dodgers’ remarkable 4+1 game, which Sports Illustrated and Tom Verducci called the game of the year. 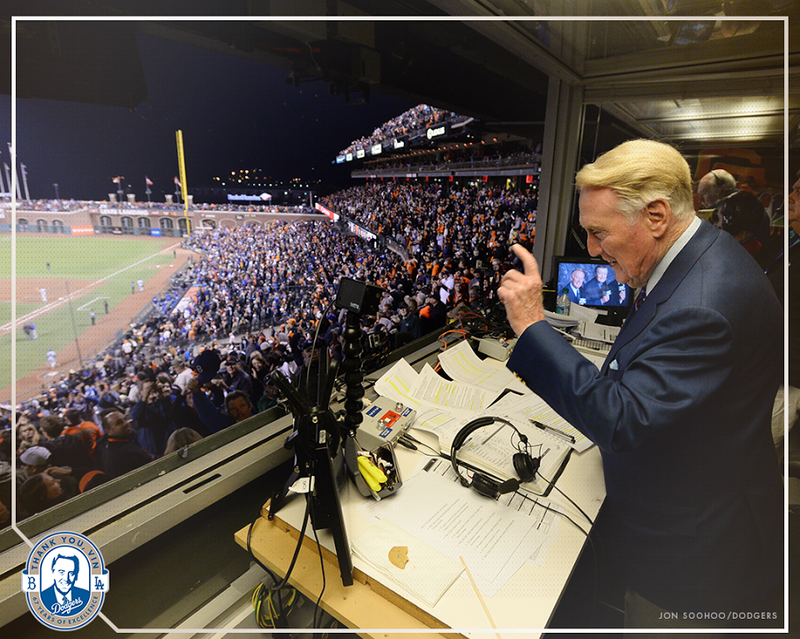 SportsNet LA has produced a remembrance of the incredible night through the eyes of Vin Scully. You can also read my own essay about the game here. I could listen to this call again and again. Clayton Kershaw, Corey Seager, Rich Hill and Justin Turner are finalists in four categories of the MLB Players Choice Awards, which will be announced November 9 on MLB Network. Like Brett Anderson did on Thursday, Brandon McCarthy is expected to pitch out of the bullpen for the Dodgers when they open their season-ending series at San Francisco tonight. 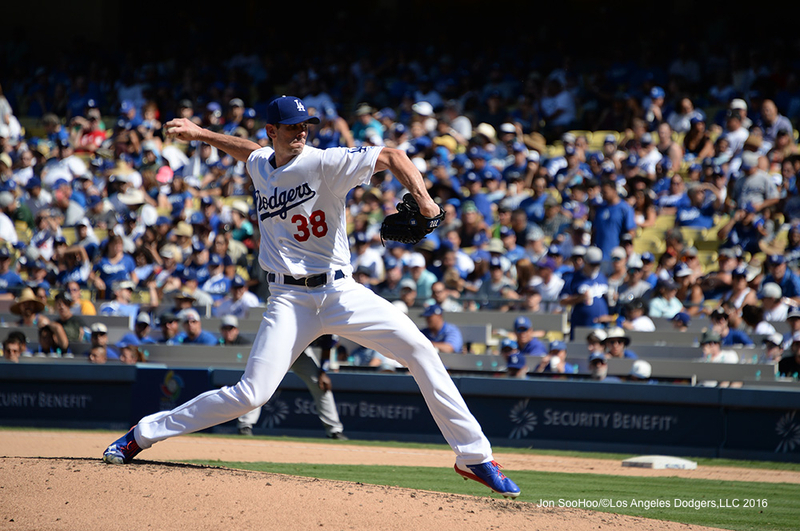 The relief appearances by Anderson (2 1/3 innings, five hits, two strikeouts) and McCarthy keep alive the chances that either could be added to the Dodger playoff pitching staff. The Dodger playoff bullpen was already overflowing with candidates before Anderson and McCarthy slid from starter campaigns into the relief race, essentially trading with Julio Urías, who struck out five Thursday in three shutout innings of what appears to have been a tuneup to start Game 4 of the National League Division Series.